“Extreme” and “epic” are common adjectives in our daily speech. We strive to conquer the highest peaks, pedal the steepest singletracks, and do it faster and better than those who came before us. To you we say, welcome to Virginia’s Blue Ridge! 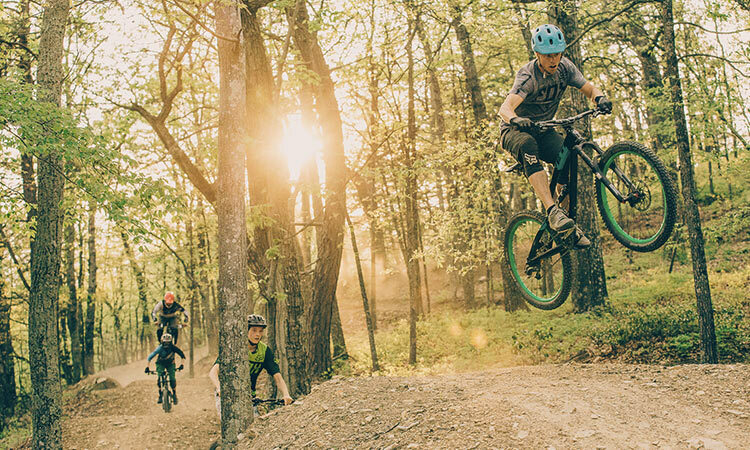 Adrenaline junkies bent on one-upmanship will thrive on and around the mountains surrounding Roanoke, voted a Best Trail Town, Top Adventure Town, and Best Mountain Town. 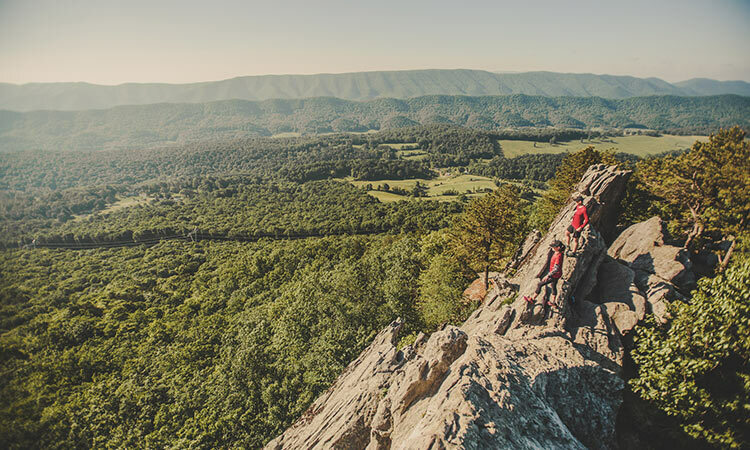 Head to Virginia’s Blue Ridge and create an epic outdoor adventure. 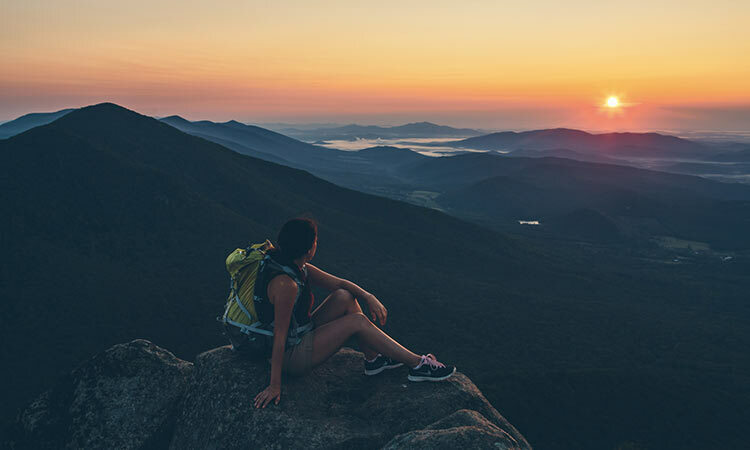 While the Appalachian Trail is a bucket list item unto itself, Virginia’s Triple Crown is another. Pair the two together for an unforgettable 32-mile loop in Virginia’s Blue Ridge. A steep and not simple 2.3 miles from Route 311 delivers willing hikers to Dragon’s Tooth. The jagged quartzite jutting 35 feet into the air is the geologic formation you’re bound for. Climb on up and enjoy the view. From Dragon’s Tooth, it’s a 7.5-mile hike to reach the McAfee Knob parking lot. Continue another 4.4 miles to reach the wide open view that awaits at the Knob. There are two shelters between Dragon’s Tooth and McAfee Knob to set up camp for the night. Tinker Cliffs is 5.5 miles on the Appalachian Trail from McAfee Knob and two additional shelters are available between the destinations. To close the loop, refer to the Triple Crown map. A 70-mile out-and-back from Mill Mountain in Roanoke (milepost 120) to Peaks of Otter (milepost 86) is both stunning and serious. The route offers steep climbs, thrilling downhill sections, and stunning views from all angles. 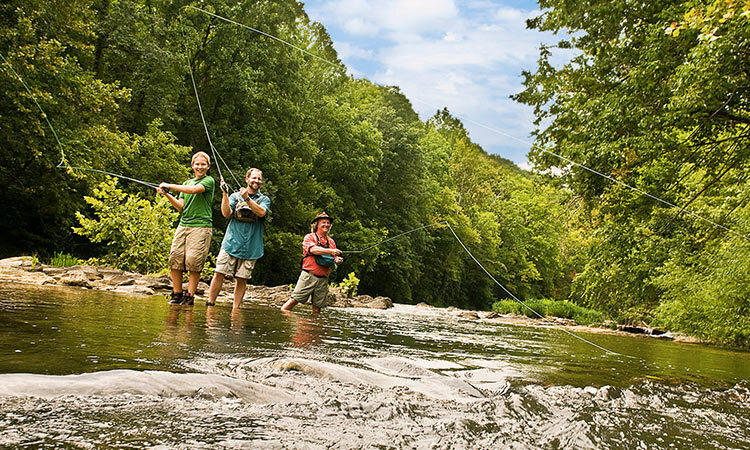 The Roanoke River is teeming with varieties of bass, trout and more. Bigger sport-sized fish are found closer to Smith Mountain Lake where the river widens and runs deeper. Expect to pull in catfish and striped bass in this portion of the river. The banks of the Roanoke River Gorge near Rutrough Point in Explore Park are another great spot to put in. Check out the Outdoor Adventure section of www.visitvbr.com to begin planning your epic Blue Ridge Day.